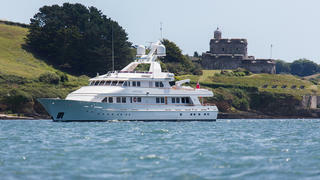 The 46.33 metre Feadship yacht Constance has completed her refit at Pendennis after an 18-month overhaul. The owners praised the hard work of the Falmouth-based yard, describing them as “supportive and professional throughout”. This classic Feadship yacht was launched in 1986 as Paminusch and arrived for her refit in March 2015 under the name Jana. At the time, her 30-year-old systems and engine-room equipment were deemed uninsurable by a surveyor’s report. 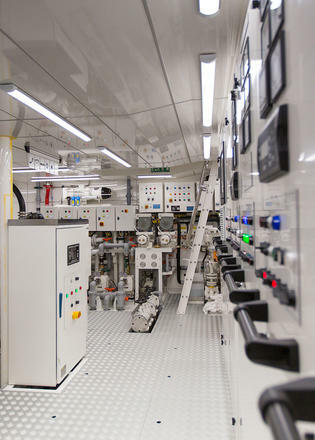 Pendennis was given a broad remit that included refreshing the interiors and improving structural integrity to comply with offshore cruising regulations. 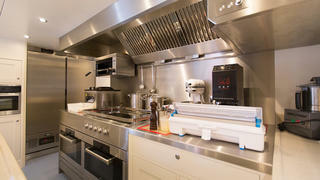 Master Yachts provided yacht management services for the refit project. The team set about replacing all the bridge and engine room equipment; improving insulation and refitting tankage where necessary. 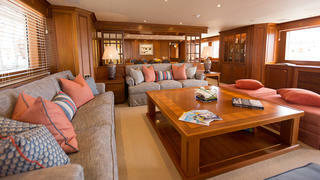 Existing woodwork was removed, restored and meticulously reinstated by the Pendennis joinery team. The yard was also tasked with bringing Constance up to the MCA Large Yacht code standard for unrestricted service, which required the addition of further watertight compartment subdivisions. 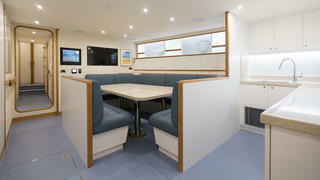 Crew areas were completely rebuilt, including a new galley and laundry featuring bespoke furniture. Exterior changes included a full repaint, new teak decking and two new deck cranes. Following the refit, Constance can accommodate 12 guests across five cabins, while the crew quarters allow for a staff of up to ten. Speaking at a relaunch party earlier this year, the owners of Constance said: “As our first motor yacht, when we took over the boat and understood the implications of the survey results, the refit initially seemed a very daunting project to undertake. Other projects currently underway at Pendennis include the classic J-Class sailing yachtVelsheda and the 25.88 metre Claasen yacht Velecarina.